Businesses buy on advice and desire the best outcome. Do you suffer from “IT expert overload” causing you to over-buy or even under-buy IT Security assets for your business, driving up costs and leaving gaps where it doesn’t make sense. Unfortunately in many cases businesses end up with the wrong IT Security and poor service experience. Your just want solid trusted advice on your key IT security challenges. Clear, Concise, Simple and Quality Guidance. You need to make sure you’re not missing that “one important piece” so you can complete your secure “Big IT picture“. The right piece of advice Xigsaw : Now your IT Puzzle Can Be Solved. 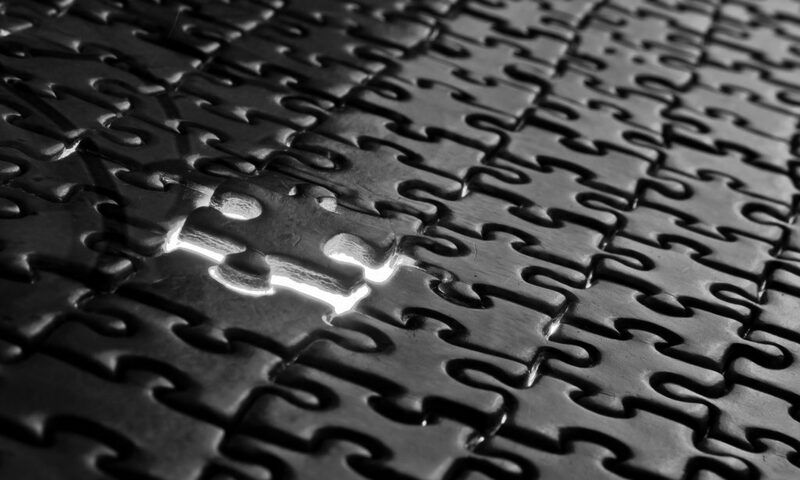 The IT Security Puzzle : We can all agree, businesses struggle with selecting and buying the right “IT pieces” to complete a secure puzzle. We are experts acting as your IT triage, filtering out the complete onslaught of “IT garbage” and ‘IT Market Spin” within the fast paced IT Security market- by delivering to you simple, secure and proven IT solutions. The end result forms a much clearer, complete and connected IT Security picture. Less Spend, increased Value from your IT Assets. Xigsaw is highly selective in the IT Security products we choose to help you select and realise a much clearer view of a secure and productive IT environment. Simple solutions: substantially lower complexity and cost through INTELLIGENT security DELIVERED VIA THE CLOUD. SECURITY THAT THINKS LIKE A HumaN: DEEP LEARNING AND AI intelligence. PROTECTING DATA INTELLIGENTLY: A DATA-FIREWALL and INTELLIGENT RECOVERY IS KEY TO PEACE OF MIND. THINK ABOUT IT : A MALWARE FREE EXISTENCE IS POSSIBLE. No Missing pieces : Xigsaw wants you to know, we ensure our customers only buy what is truly required. We want you to capture and gain the best out of what you already own. We put all the pieces together leaving no gaps or missing pieces. We ensure your IT puzzle becomes one clear picture. Secure, Assured and Valued. Contact Us : contact@xigsaw.com – Like to discuss with our experts ? Sales: sales@xigsaw.com – Clients looking to build a Xigsaw solution. Support: support@xigsaw.com – Having issues that need help?